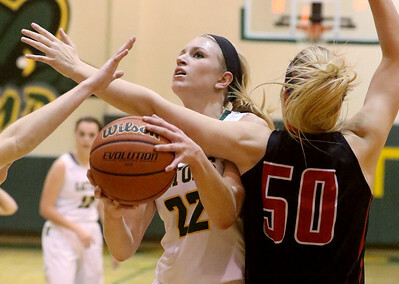 Matthew Apgar - mapgar@shawmedia.com Ali Andrews of Huntley, left, shoots a layup against Taylor Jozefowicz of Crystal Lake South during their girls basketball game on Wednesday, Jan. 27, 2016 at Crystal Lake South High School in Crystal Lake. 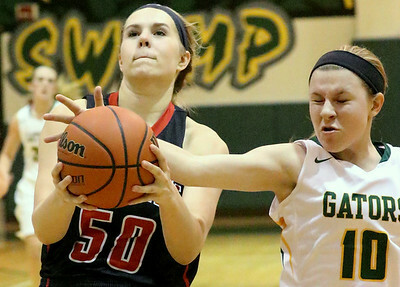 Matthew Apgar - mapgar@shawmedia.com Crystal Lake South's Annika Sevcik, left, and Madeline Moffett of Huntley battle for the ball during their girls basketball game on Wednesday, Jan. 27, 2016 at Crystal Lake South High School in Crystal Lake. 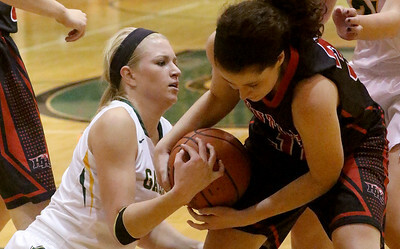 Matthew Apgar - mapgar@shawmedia.com Crystal Lake South's Annika Sevcik, left, and Ali Andrews of Huntley battle for the ball during their girls basketball game on Wednesday, Jan. 27, 2016 at Crystal Lake South High School in Crystal Lake. 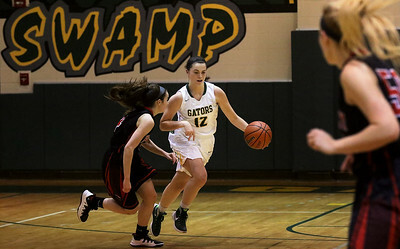 Matthew Apgar - mapgar@shawmedia.com Kelly Gaede of Crystal Lake South, right, takes the ball downcourt with Kaylee Andrea of Huntley, left, during their girls basketball game on Wednesday, Jan. 27, 2016 at Crystal Lake South High School in Crystal Lake. 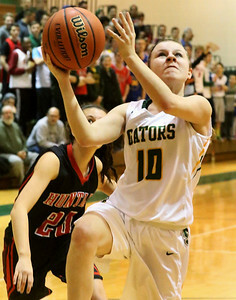 Matthew Apgar - mapgar@shawmedia.com Crystal Lake South's Chanel Fanter drives the ball to the hoop past Ali Andrews of Huntley, left, during their girls basketball game on Wednesday, Jan. 27, 2016 at Crystal Lake South High School in Crystal Lake. 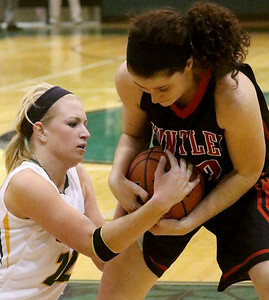 Matthew Apgar - mapgar@shawmedia.com Crystal Lake South's Annika Sevcik gets tangled up with Ali Andrews of Huntley, right, on a drive to the hoop during their girls basketball game on Wednesday, Jan. 27, 2016 at Crystal Lake South High School in Crystal Lake. 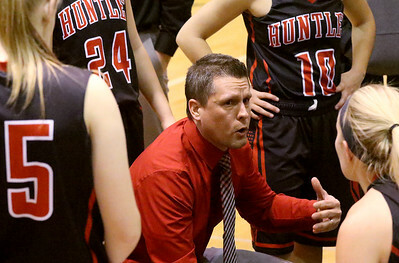 Matthew Apgar - mapgar@shawmedia.com Huntley coach Steven Raethz talks with the team during their girls basketball game against Crystal Lake South on Wednesday, Jan. 27, 2016 at Crystal Lake South High School in Crystal Lake. 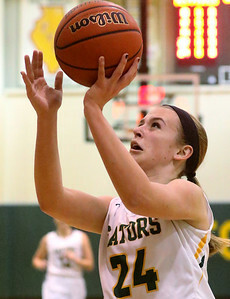 Matthew Apgar - mapgar@shawmedia.com Taylor Keegan of Crystal Lake South shoots a layup against Huntley during their girls basketball game on Wednesday, Jan. 27, 2016 at Crystal Lake South High School in Crystal Lake. 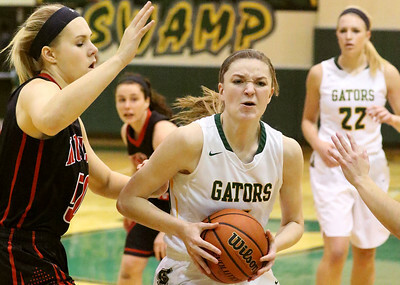 Matthew Apgar - mapgar@shawmedia.com Crystal Lake South's Chanel Fanter, right, drives through Huntley's Kaylee Andrea, left, during their girls basketball game on Wednesday, Jan. 27, 2016 at Crystal Lake South High School in Crystal Lake. 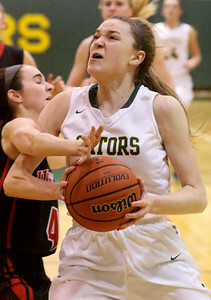 Matthew Apgar - mapgar@shawmedia.com Taylor Jozefowicz of Crystal Lake South follows through with a layup against Huntley during their girls basketball game on Wednesday, Jan. 27, 2016 at Crystal Lake South High School in Crystal Lake. 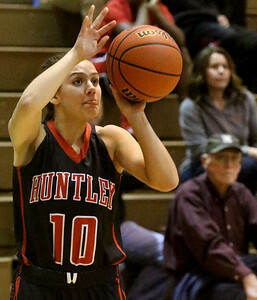 Matthew Apgar - mapgar@shawmedia.com Kayla Barreto of Huntley shoots the ball against Crystal Lake South during their girls basketball game on Wednesday, Jan. 27, 2016 at Crystal Lake South High School in Crystal Lake. 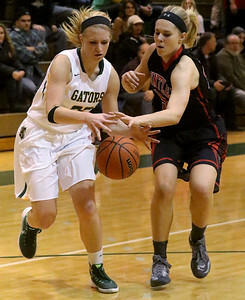 Crystal Lake South's Annika Sevcik, left, and Ali Andrews of Huntley battle for the ball during their girls basketball game on Wednesday, Jan. 27, 2016 at Crystal Lake South High School in Crystal Lake.